Step aside, other popular ‘word’ games, there’s a new wizard in town. It’s you! And you’re summoning all the RAJ, ZA, and QI you can shake a wand at in the new mobile game, Spellwood from Three Rings Design. Longtime fans of Three Rings Design may remember (or still play) the wildly awesome Puzzle Pirates, in which classic and new casual puzzle games blend seemly together in the world of swashbuckling. In Spellwood, Three Rings takes you to a world of magic, where all manner of rabbits, cats and mice duel in battles of letter-play. 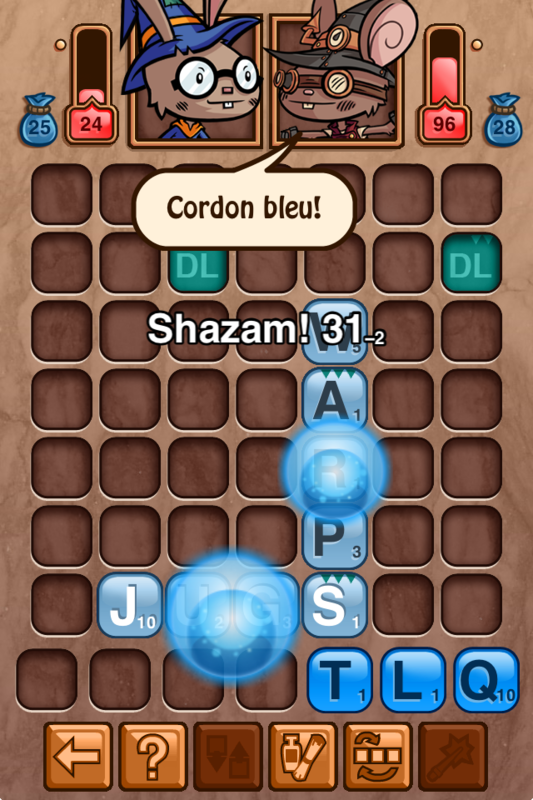 Imagine blending that one popular mobile word game (you know the one) with RPG elements of Puzzle Quest. In a nutshell, that’s Spellwood, and it’s so Wizard (19 points). 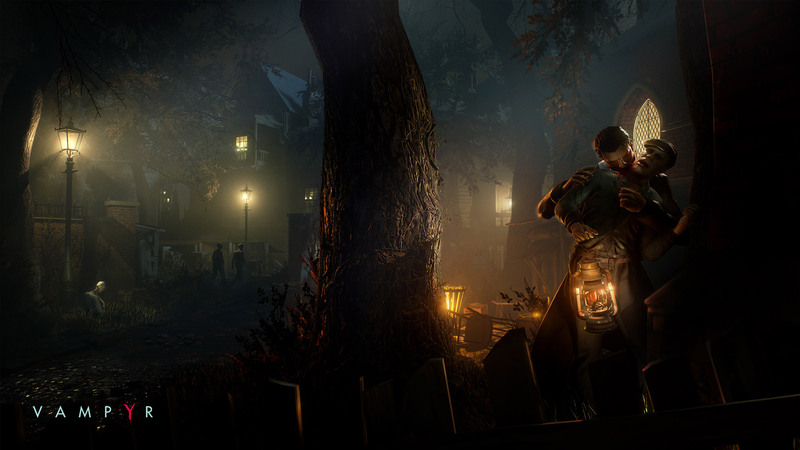 Start out in the single player adventure. You take on the role of a young rabbit wizard who is on his way to challenge the world. The adventure unfolds through challenging wizarding towers around the game map. Battle your way to the top of the tower to unlock the next tower (over 90 adversaries overall). Battles work like this: cast words onto the game board, and the point total of that word is dealt as damage against your opponent. Deplete your opponents HP to win. Spellwood wrinkles the strategy of a typical word game by removing words from the board after a couple of turns. 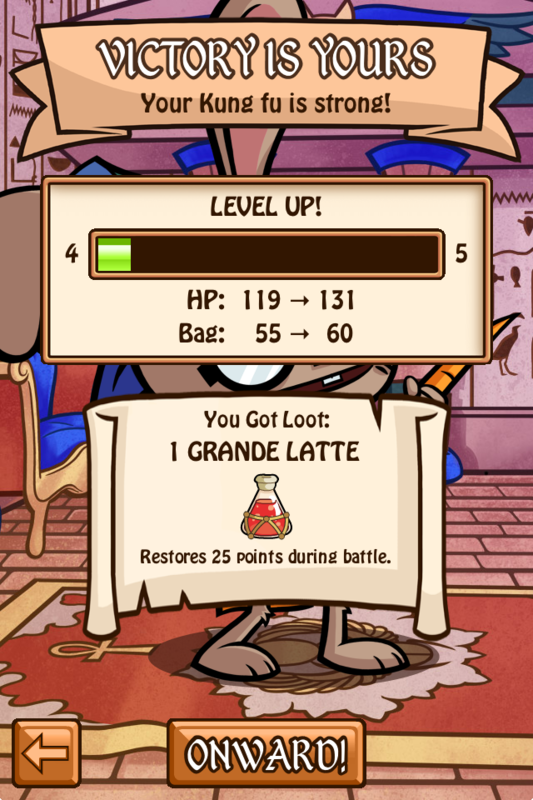 Wins get you XP, and leveling up increases your HP, and the ability to use items… yes, items! This is where things get interesting. Your character has both gear and one-time use equipment. 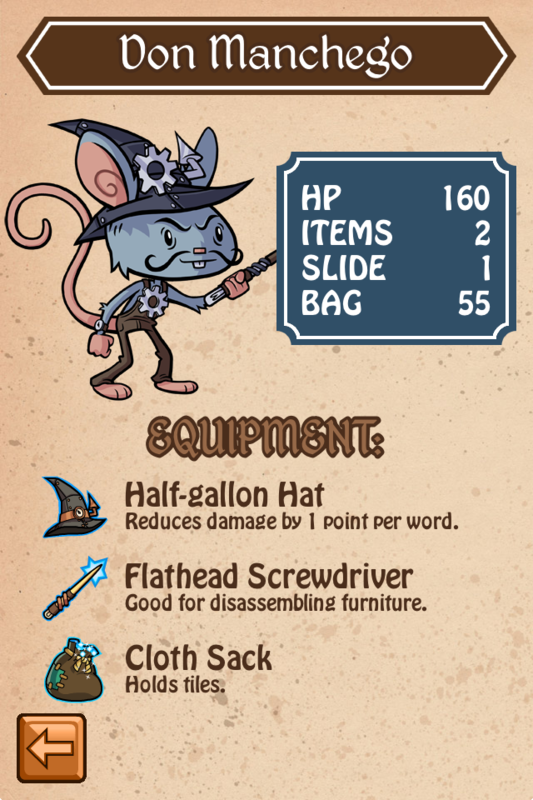 Your gear (which includes your wand, hat, and letter bag) can increase your damage while reducing the damage of your opponent. Then you have one-time use items like double-letter squares you can throw down to gain a surprise advantage, or a potion to restore a portion of your health. So even when things are looking bleak (11 point word) you’re never out of the fight. It’s those RPG elements, I feel, that elevate Spellwood above the competition. Of course, you can take your talents online and dual against your Facebook or GameCenter friends. All of this is contained within the solid cartoon-style presentation of Three Rings creativity we’ve come to love. 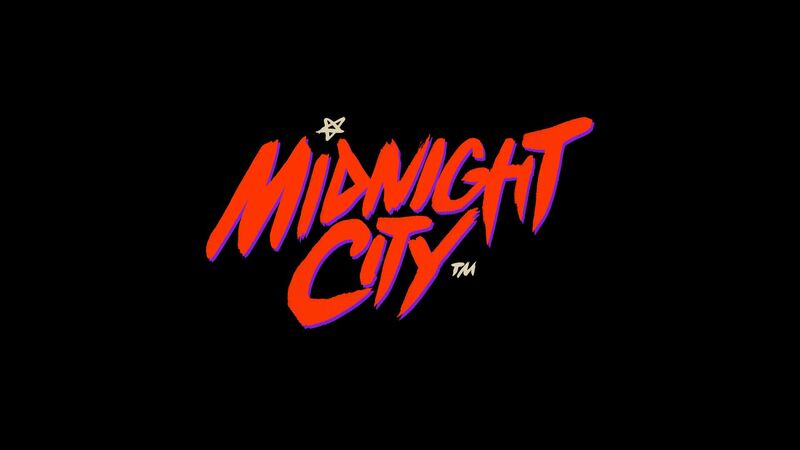 There’s one more thing I feel needs to be discussed in the current era of mobile gaming. You see Spellwood is a cool $1.99 on Android and iOS, and that’s a good thing. So often do we see great games marred by nerfed abilities that require microtransactions to upgrade, you’ll find none of that nonsense here. Spellwood puts a clever twist on a classic, making it fun and accessible to players of all skill levels. 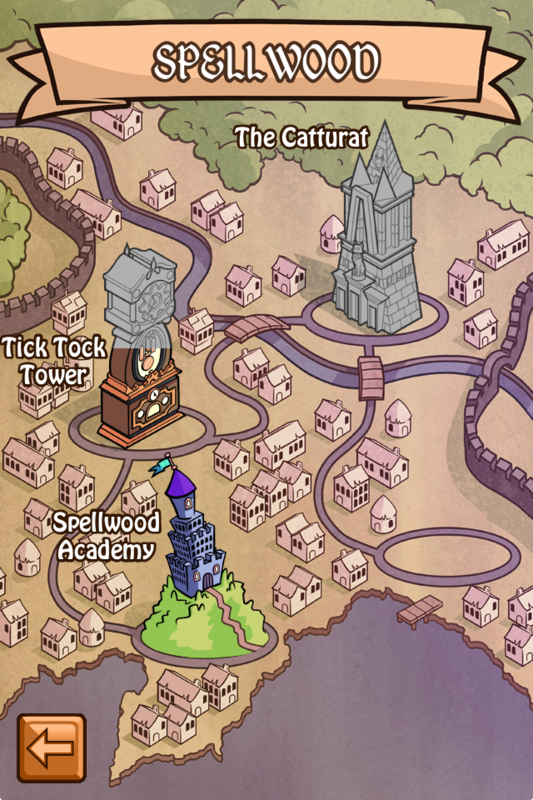 Wands at the ready, Spellwood is Nerd Appropriate (17 points… if you had enough tiles). Visit www.spellwood.com for more information and where to purchase. 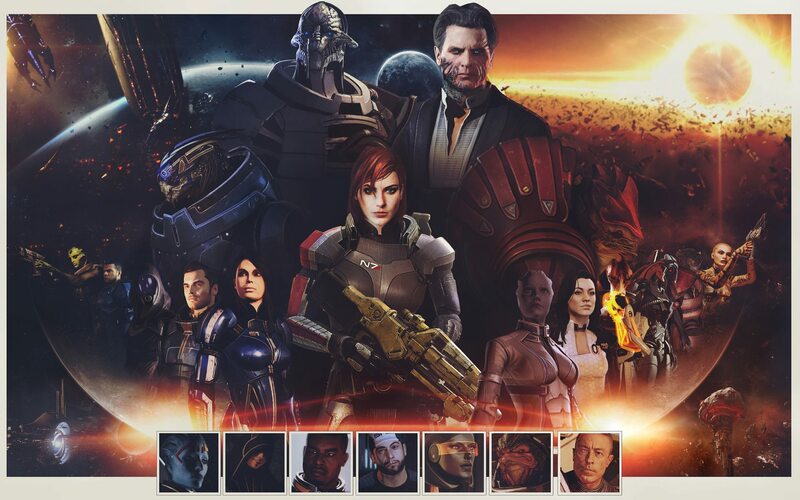 Happy N7 Day From NA! Great review. I will get this for the lady. I no like words! Minion Master Unleashes Innovative Strategy Today! Insomniac’s Fuse – Primed to Explode?